Birthday Gifts, Fun Experiences + Unique Gift Ideas On RedBalloon! Other people's birthdays are always creeping up on you, so it's essential to find the perfect birthday gifts no matter what their age. You'll never be stuck for birthday present ideas again with our range of experiences, from adventure activities to something a little more relaxing. This year, say goodbye to uninspiring birthday presents and gift different with a RedBalloon experience. Throughout the year you constantly have birthdays popping up - a loved one, family or friends and it can be hard to nail the perfect birthday gifts every time. Enter a RedBalloon experience! This year, gift different with our range of birthday presents perfect for every age and milestone. 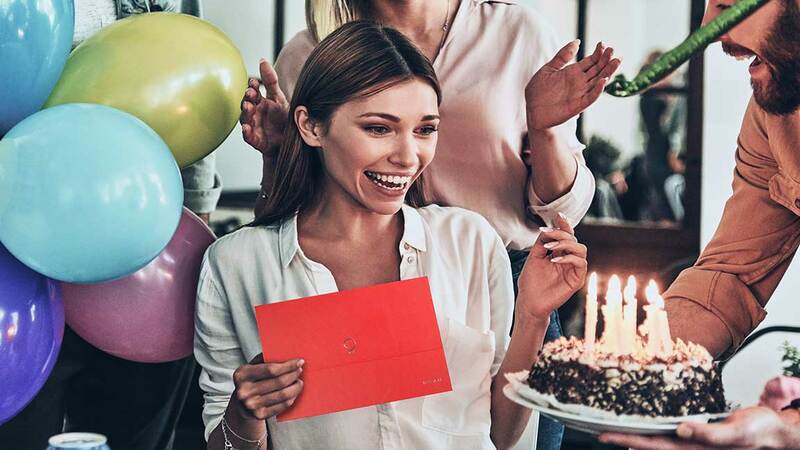 If you want to beat receiving those disappointed looks when they open an uninspiring gift, check out our range of birthday present ideas to find a unique birthday gift that'll definitely blow them away this year. If you're looking for 21st birthday gift ideas to celebrate their important milestone, gift a Helicopter Flight Over Sydney. They'll get to enjoy spectacular panoramic views of the city and fly over the world famous Bondi beach making it one of our truly most memorable birthday gift ideas. 30th birthday present ideas can be hard to come up with - you want to remind them of their youth and that they definitely aren't 'aging'! We've got a great selection of birthday gifts for him and her to help do just that including the Brewery Tour, Beer Tasting and Traditional Pub Meal. There's no better way to celebrate your special day then with your favourite food, drink and the company of a plus one. If you're looking for birthday ideas for the next big milestone, check out our range of 40th birthday present ideas. It can be scary reaching your 40s but at RedBalloon we celebrate all ages and want you to have a fun and memorable day. With the Breakfast at The Hotel Windsor - For 2 you'll step into another world and celebrate your 40th in style. 50th, the milestone of all birthdays! Finding perfect 50th birthday presents can be really hard - you want to gift something they'll always remember without remind them they've reached the big one. If you're looking for the ultimate birthday gifts for her or him they'll never forget, send them Hot Air Ballooning Over Gold Coast with Champagne Breakfast. They'll get to see the world from a whole new level whilst floating peacefully at sunrise. At RedBalloon we've got the perfect experiences for every milestone from 18th birthday present ideas through to 80th birthdays!